Features touch sensitive Unit, Tare and Power buttons for easy operation. The Tare features calculates the net weight of the ingredients (container weight is automatically subtracted). The touch sensitive buttons work even when wearing food-service gloves! 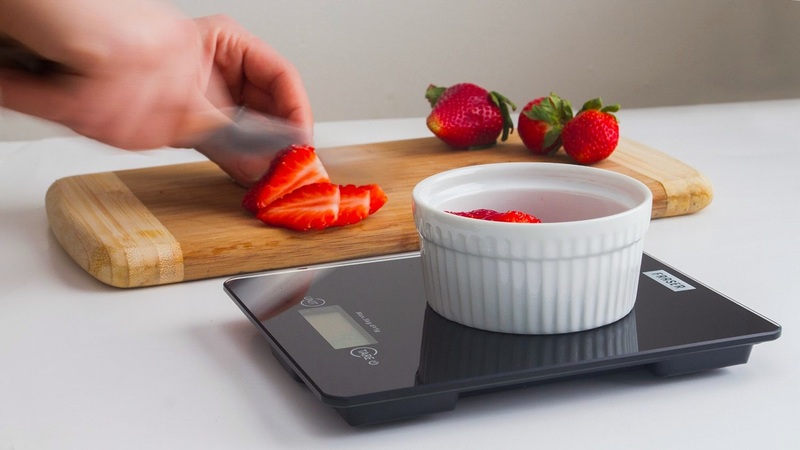 With touch sensitive buttons and a tempered glass surface this FraserTM FS11 digital kitchen scale is one of the most advanced scales. 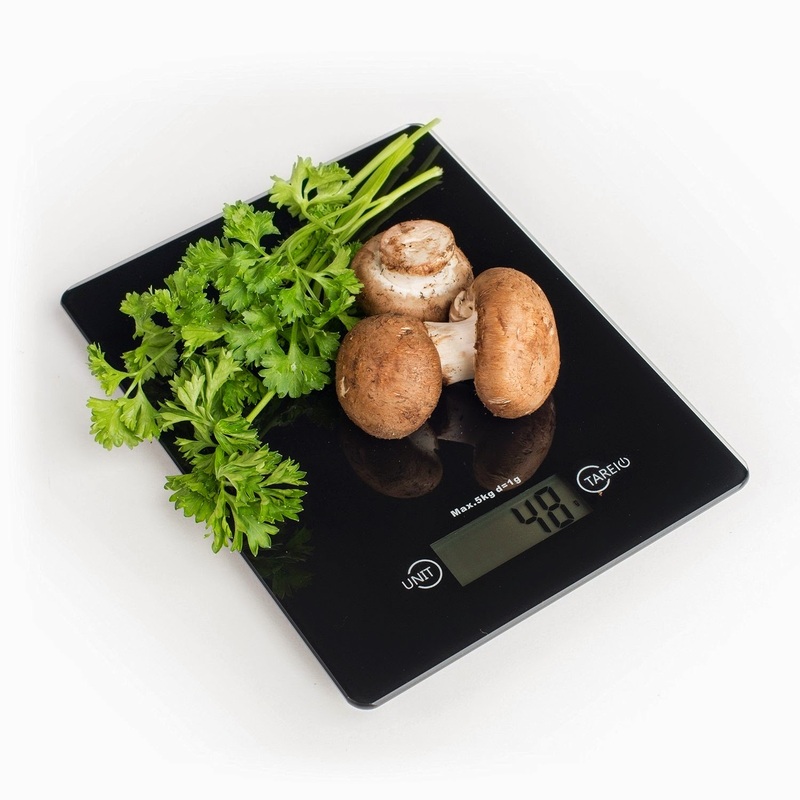 The FraserTM FS11 scale is ideal for the home chef who desires accuracy and an elegant design. 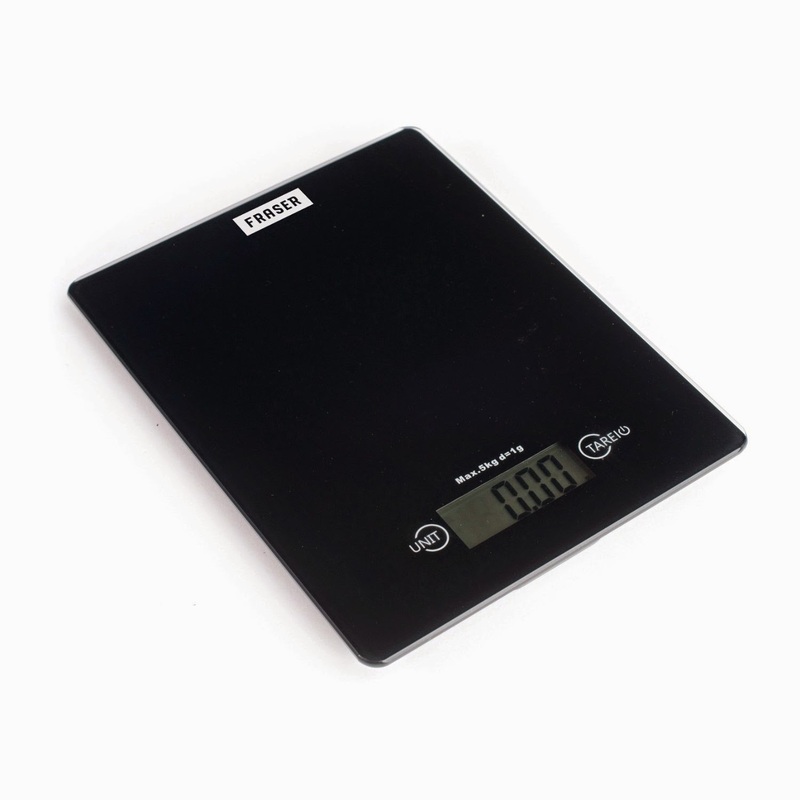 This scale also features an automatic Tare button that will quickly subtract the container weight, allowing you to weigh only the contents of your container. 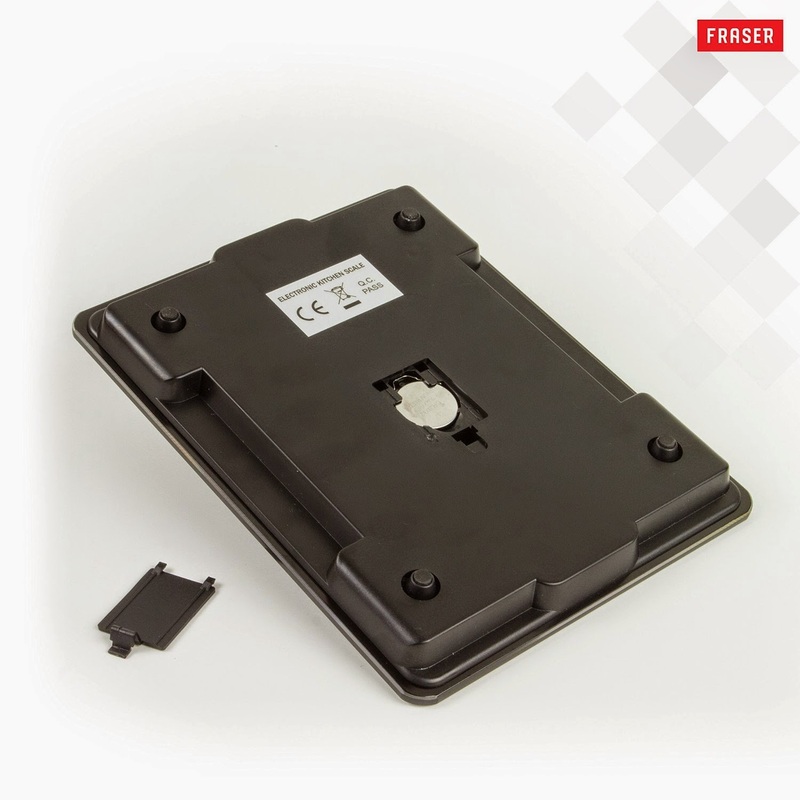 The FraserTM FS11 scale has a capacity ranging from 0 ounces to 11 lbs (0 to 5,000 grams), and provides measurements in graduations of 1 g or 0.1 oz on its bright LCD screen. The scale also displays results in both the US and international metric systems (grams | ounces | pounds | kilograms). The large screen features a bright LCD with an improved viewing angle for the on-the-move chef, and provides Low Battery and Overload indicators. 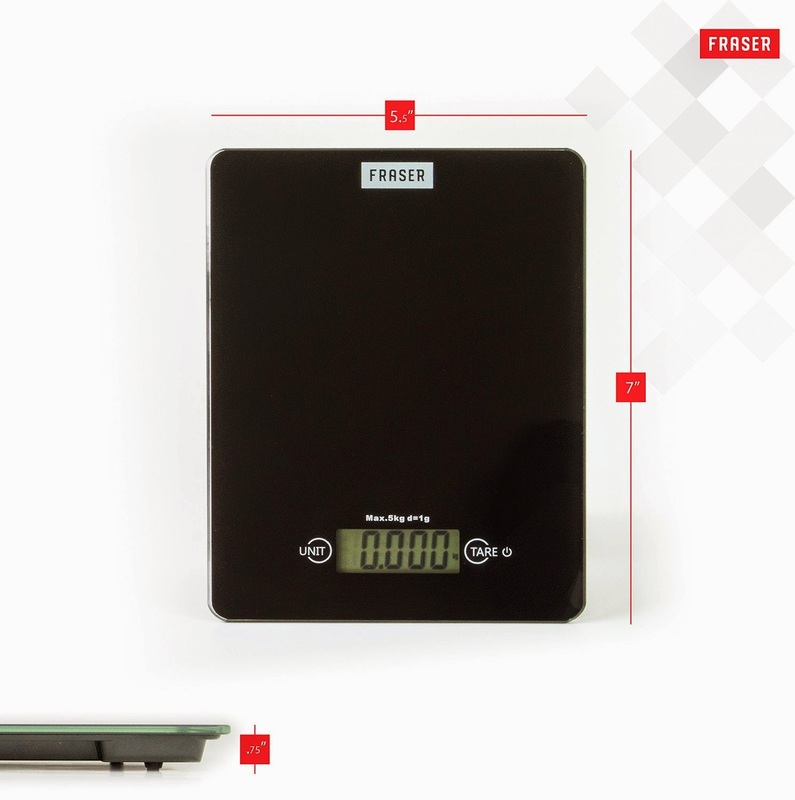 The FraserTM digital kitchen scale comes equipped with 1 lithium CR2032 removable battery for long life, and features a 1 minute automatic turn-off that preserves battery life. Operation Instructions. ON/OFF Tap the TARE button to power scale ON. Hold down on TARE button for two seconds to power scale OFF. Scale Size. 5.5" x 7" x .75"
I have always wanted a nice kitchen scale so I was thrilled to get to try this Digital Kitchen Scale from Fraser. It is super modern looking and very thin, easy to store and looks great in my kitchen. I love to bake and a lot of recipes I have are in weight measurements instead of cups and tablespoons. So I am really excited to get to try out so many new recipes I could not make before. I also like to grind and measure my coffee for a precise cup of coffee just the way I like it so this is going to be great for that as well! It is easy to use and has a nice big readout screen, it's accurate and a great addition to my kitchen tools! Weighing my bowl before adding ground coffee. Showing how much the bowl weighs before adding the ground coffee. Showing the weight after adding my fresh ground coffee.